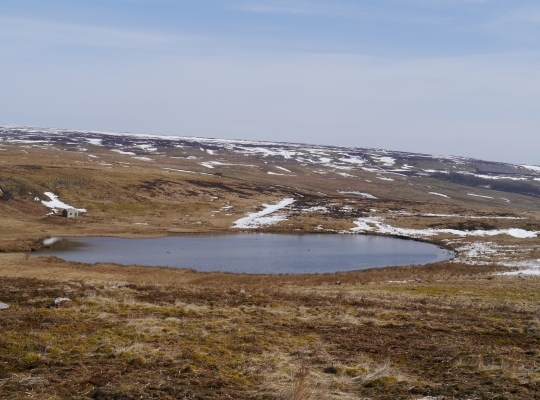 Locker Tarn is a roughly heart-shaped tarn situated immediately to the east of the limestone scar of Great Wegber, near Carperby in Wensleydale. 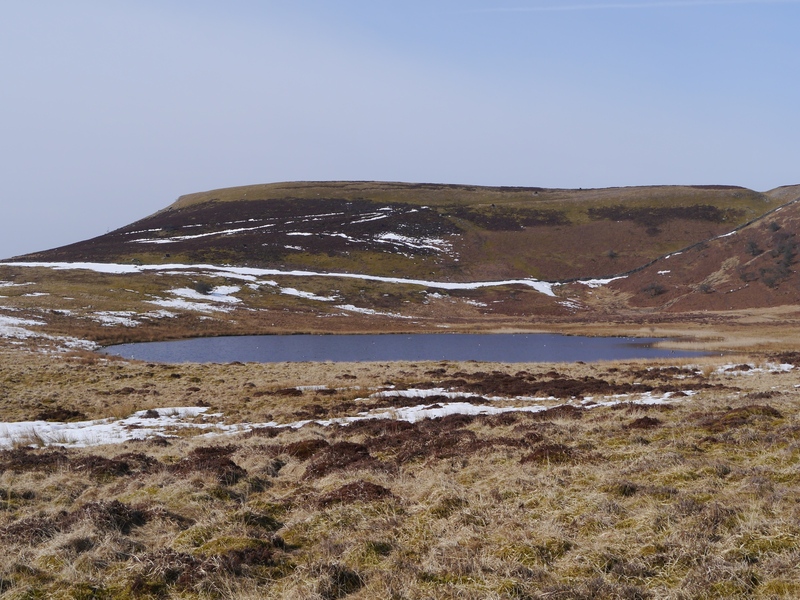 The tarn can be visited by taking a detour from the good track from Castle Bolton to Carperby. The tarn itself is in a lovely setting in a hollow below the eastern slopes of Great Wegber (also worth a visit). To the north of the tarn there is also a hut and an attractive little waterfall that is unmarked on the map. 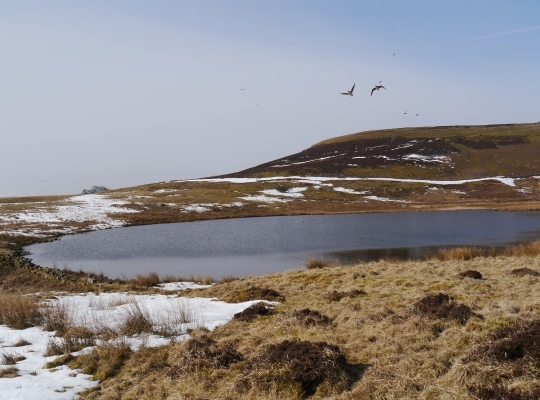 Locker Tarn is clearly popular with local birdlife and when I visited the tarn in April 2013 my sudden appearance caused something of a stir. Indeed so distressed did the numerous birds become that I didn’t walk right up to the edge, as I normally would do when visiting a tarn, but instead circled around to the north to avoid upsetting them further.